One is a very short walking distance from Otaika River, looking Westward toward Onerahi, my old stomping ground at Tamaterau, Parua Bay, and of course, the Maunga Manaia. The same Maunga gave me a sense of coming home back when I was in my late teens and 20s, living further South. Travelling North, Manaia and the Bay greeted us as we chugged over the crest of the Brynderwyns in a mate’s old VW. At times, it was and is an almost magical sight. I felt lighter, with a sense of space, relief almost. 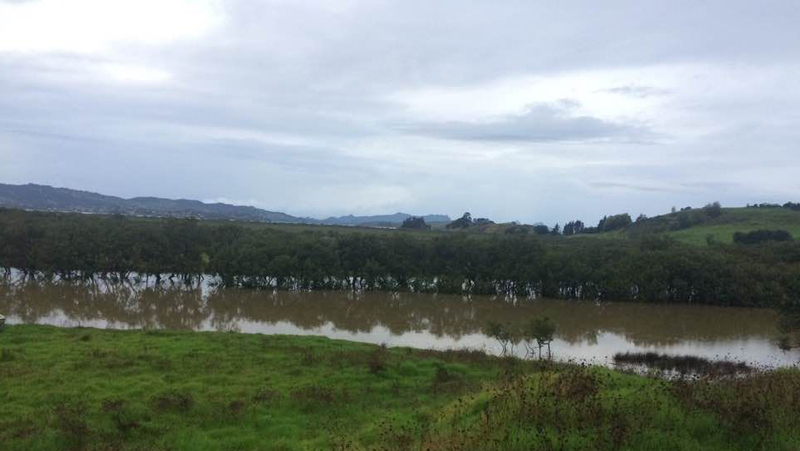 I’m very lucky – privileged – to now stay close by Otaika River, in a small whare ( bach ) not far south of Whangarei. A daily summer swim clears the cobwebs from body and brain. It boosts the spirit. As a kid, my Dad sometimes took me and my brother out fishing on the harbour from near Tamaterau. The river, and advice from the expert locals, gives me a chance to re-learn the skill. I’m a visitor here, a temporary guardian for more permanent guardians, and I try to remind myself of that. 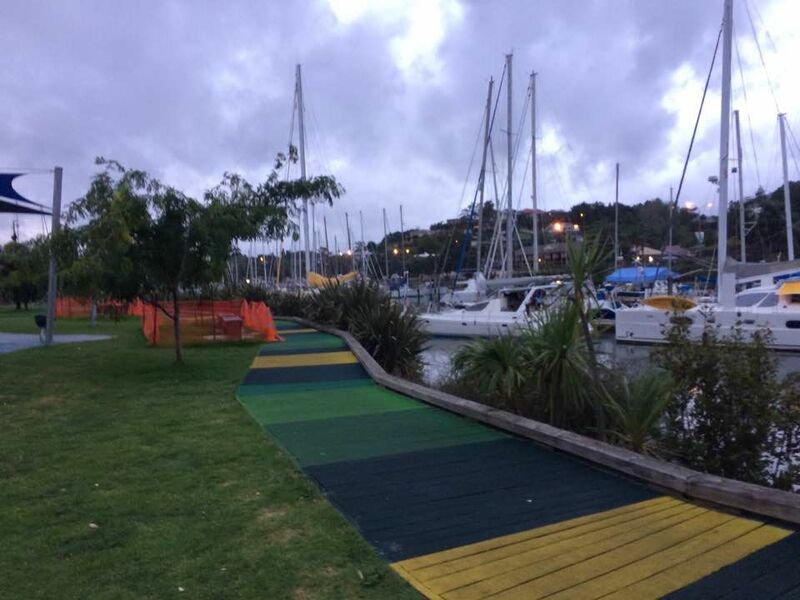 Another place is at the Whangarei town basin, and on The Loop walking riding, and jogging course. In my case, a jog started as more of a shuffle. But as the weeks have gone past, my joints creak less, and the legs work better. I’m enjoying it. It was meant as a communal place, and as I spend more time there, that becomes more obvious. I can think of a community of yachties, and a community of young families at the playground, a community of restaurant- and cafe-goers, a fitness community. I’m still a part-timer with some of those, but they give a sense of belonging. I was on the Loop jogging, and at the Basin early evening, just before dusk, last week. Looking from Quayside near the kids’ playground over to Riverside Drive and up at Parihaka is a physical view from sea-level up, but in other ways, it’s a View from the Top. As if from the Top, it’s still possible to look up, instead of the other way. In ancient times, the Romans used to say mens sana in corpore sano. In slightly less ancient times, a Latin teacher used to repeat that, telling us it meant ‘a sound mind in a sound body’. As I get closer to being ancient myself, I understand that better. So physical exercise, in my case jogging and swimming, is one ritual which helps keep my view looking up. Another is a daily spiritual practice. I’m far from perfect with those – I’m a work in progress. A third ritual is a weekly visit to TTTWon as part of a support group. Again, it’s about shared experience and support, a communal spirit. Without those things, the wide, open View from the Top shrinks and darkens. For example, a view of Manaia from Otaika river Westward versus a view of a dimly-lit cellar in daytime, or from a sickbed. I’ve had my time in those places, and I prefer not to go back. It’s no fun at all. Above are some of things I do, and remind myself of, to keep an ‘insurance plan’ in place.